And if you’re like most families, your schedule is completely full. I love the idea of getting a side hustle to get out of debt faster and save up for a vacation, but I don’t have an extra 20 hours a week to deliver pizzas or fill out surveys. However, I do have a lot of stuff. I’d like to blame the four kids since I quit trying to be a minimalist for their sake. But in reality, a lot of it is mine. I love shopping and buying clothes. So a few years ago, when cleaning out my closet, I decided to list a couple things on eBay. They sold, and I was hooked. I went through the house cleaning out and listing things to sell. I can now make about $100 a week on eBay. I spend about five hours a week working on it, and I try to keep about 15-20 items listed for sale. I do everything from my iPhone except for printing the postage, but I’m sure you could do that part too. 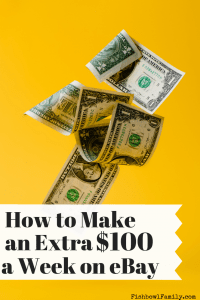 And for those of you that are overachievers, you can absolutely scale up once you get the hang of it and make WAY more than $100 a week. That is just a good spot for me to contribute financially to our family without spending a ton of time working a side business. 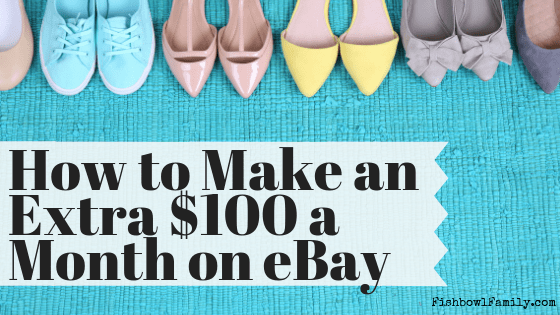 If you’d like to make extra money on eBay, here are five tips to be successful. I start every description with, “This auction is for” and then I describe the item thoroughly. Even if it’s something obvious that can be seen in the photos, write it out. If there are any issues with the item, be sure to list them. You want to make sure that everything you sell is being purchased with a full understanding of the condition. If the jeans are worn around the knees, say that. If the shoes show wear on the bottom, say that. People are on eBay looking for a good deal on used items. They aren’t expecting your used Tom’s to be perfect, but they are expecting you to tell them exactly what’s wrong with them. Use good grammar and punctuation. If you’re too lazy to spell correctly, people might assume that you’re too lazy to package their stuff correctly. You can install Grammarly on your computer for free. It will mark misspellings as well as punctuation and syntax errors. It may seem obvious to you that the pitcher you’re selling is twelve inches tall, but put the exact measurements anyways. This is especially important for clothing. Let them know the condition of your home. I put in every listing that the item is shipping from a smoke-free home, but that we do have a small hypoallergenic dog that lives inside. This lets people know that you are okay with answering questions. You can add twelve photos to each listing for free and you should. Even if you think It’s obvious what it is with only two, keep taking photos. Show ever angle, zoom in on flaws, take a picture with a measuring tape, zoom in on the tag, or whatever. Also be sure that your photos don’t have anything in the background. I typically lay out a white blanket and take all photos on it. Sometimes I take photos on my countertop because I love my shiplap background or I lay things on my hardwood floor. You just don’t want anything extra to be in the background of your photos. It may not seem like a big deal to have your couch back there, but items with clean photos sell faster. These two photos are two different seller photos of the same type of shoes. The photo on the left is shot on a plain background with good lighting. There is nothing else in the photo so that you are just focusing on the product. The photo on the right has plants and a table in the background. It’s also shot at a weird angle. It’s a great photo for Instagram, but not for an eBay post where you’re trying to sell a product. Keep it basic. Just focus on the product you are listing. Remove anything else from the shot. Keeping your photos simple will also help you to take the photos quickly. You won’t be distracted by setting up a beautiful background each time. You’ll just go to the sunniest, brightest room in your house, lay out your white blanket or backdrop, and shoot from every angle. This post, How to Make Extra Money on eBay, contains affiliate links for your convenience. 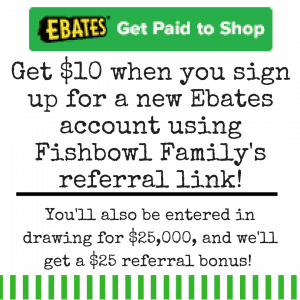 This means that if you make a purchase using our link, we’ll receive compensation at no additional cost to you. You can read our full disclosure policy here. 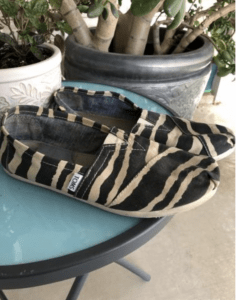 Take some time and look through these different listings for TOMS shoes. Pay attention to which photos catch your attention and which ones you don’t give a second thought. And if you find some really cheap TOMS and buy some, no judgment here. 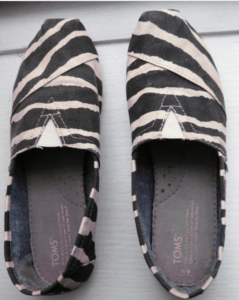 I love buying $7 TOMS from eBay! I haven’t read anything to prove this, but my own experience has shown that when I have at least ten items listed, my stuff sells faster. Maybe it’s in my head, but I suspect eBay gives priority to sellers who have more listings. Or maybe having many items lends an air of legitimacy that buyers prefer. Either way, the more items you have listed, the more you’re going to sell. I sell the most when I have closer to thirty items listed. Now if you’re ready to really clean out or have a huge savings goal to hit, you can obviously scale this up. Spend a weekend and list, list, list. You WILL make sales and money. It really doesn’t matter that you paid $200 for that purse five years ago. You can put that in the listing, but if there are other purses listed for $20 that are exactly the same, you need to list yours for $20. I usually search for the items I’m going to list before I start listing them so that I can get an idea of what to price them. eBay will often give a suggested price that is WAY lower than what others are listed for. Don’t let eBay tell you your price. Let the current market for the item guide you. If you purchase your postage from eBay, you typically get about 25% off the postage price. With the sort of things I sell, this usually equates to about $1, but I’ve made as much as $7 off postage before. To do this is super simple, but you do need a scale and a tape measure. If you have a bathroom scale, it might work for some things depending on how light they are and how sensitive your scale is. I bought a postage scale from Amazon a couple years ago, and it has been worth every penny. I also use these adhesive half sheet labels, because they are so convenient. 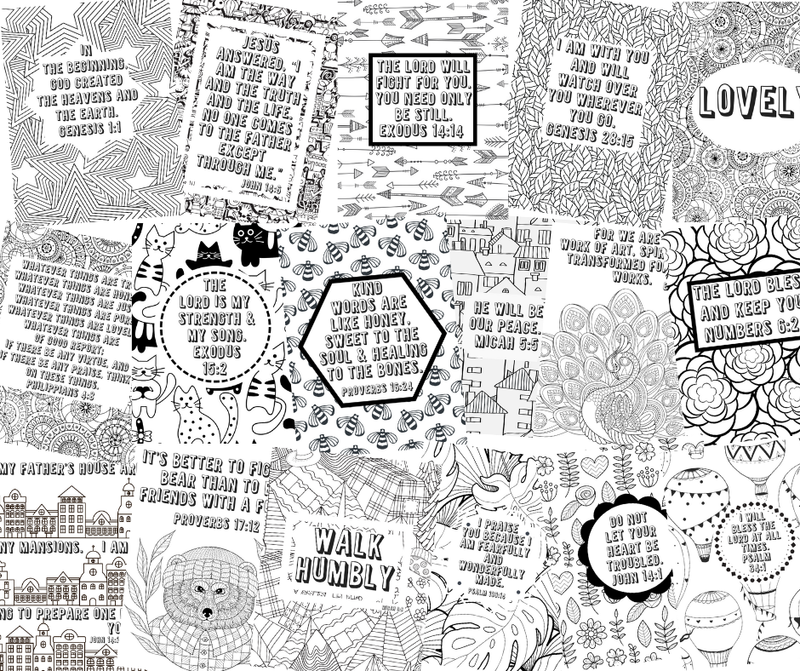 But you could easily print on paper and tape the labels on. The first way that I save money on shipping supplies is to reuse my boxes and bags from my Amazon purchases. They’re really sturdy, so they’re great for packaging stuff. Secondly, I order free shipping supplies from the USPS website. They have a ton of different boxes and bags for free, you just have to use them for the postage type that is printed on the package. And that’s ok because it’s often much cheaper to use a flat rate box for heavy items than it is to pay by the pound. Just about the only shipping materials I pay for are tape and these waterproof bags from Amazon to ship lightweight items First Class. On the page where you print your postage, you can schedule a USPS postal pickup FOR FREE. This was a real game changer for me. Not having to load up my four kids, drive to the post office, bring them and the packages inside has been life-changing. The only issues I’ve had with scheduling a pick up have been that they don’t do same day pickup and they’re really busy during the holidays. So be sure to print your postage quickly and schedule your pickup so you don’t fall behind and get bad reviews. In conclusion, making an extra $100 a week on eBay is pretty simple. Not only will it help you with your finances, but it can also declutter your house! In our next post, we’ll show you where to get more stuff to sell once you’ve cleaned out all of your junk treasures. Have you ever sold stuff to make extra money on eBay? How did it go? Tell us in the comments!